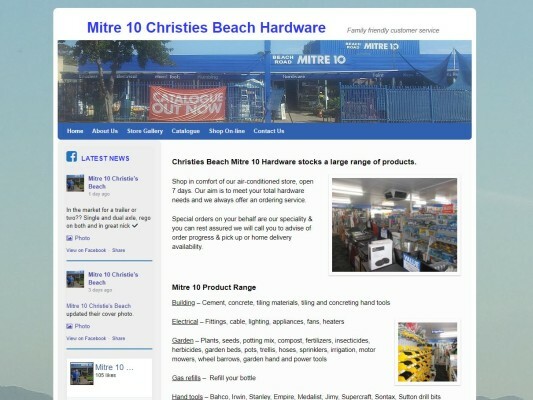 A close friend bought this Christies Beach Hardware Supplies business and asked me to provide a website presence for them. We developed it in WordPress with the idea of providing a conduit for customer reference and support. Major aim was not to over burden them with constant website updating and maintenance. It has since been complimented with an auto Facebook Feed.